A month ago, President Donald Trump told a cheering crowd in Ohio that US troops would be pulled out from Syria “very soon” to let others take care of it. According to the Israeli Arutz Sheva 7 news website, citing a diplomatic source, the head of the US military’s Central Command, Gen. Joseph Votel, arrived in Israel to reassure the head of the National Security Council, the IDF Chief of Staff and other senior defense officials that Americans have no “immediate plans” to leave Syria, and will continue supporting Tel Aviv’s means of maintaining security and stability on its border. Immediately after Donald Trump announced that the United States would be withdrawing from Syria “very soon,” Israel’s Prime Minister Benjamin Netanyahu had reportedly held a “tough” phone conversation with the US president, according to two White House officials, as cited by Haaretz. “We’re knocking the hell out of ISIS [Daesh*]. We’ll be coming out of Syria, like, very soon. Let the other people take care of it now. Very soon. Very soon, we’re coming out. We’re going to have a hundred percent of the caliphate, as they call it – sometimes referred to as land. We’re taking it all back – quickly, quickly,” Trump said during a speech in Ohio. 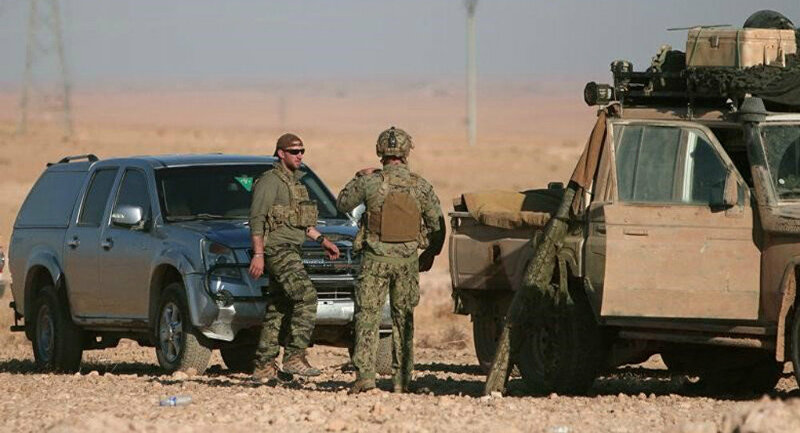 The US president’s comments came at odds with previous remarks made by high-ranking officials at the Pentagon and State Department, saying that US armed forces would preserve an open-ended presence in Syria.